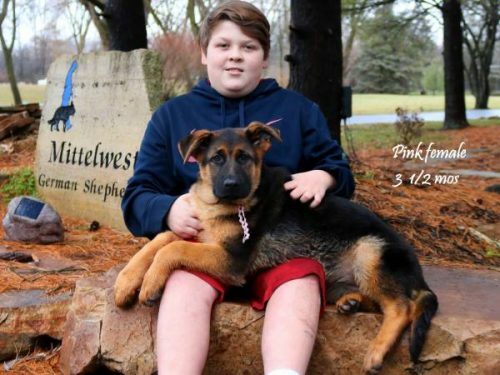 A leading Wonder Lake IL based German Shepherd kennel and breeder has announced four new litters of puppies for sale. They will be available throughout February and March, and are ideal for families. Mittelwest Germen Shepherds, of Wonder Lake, Illinois, has announced four new litters of German Shepherds, which are due on February 15th, 25th, March 15th and 18th. Mittelwest is known for being a leading provider of German Shepherd dogs with both North American and international acclaim. The site showcases the achievement of Mittelwest as a staple of excellence for North American and international dog breeding for over 28 years. It has been a winner of many “best in show” awards along with “best in breed” throughout the last few decades. Mittelwest German Shepherds is the only kennel in North America to have ever produced two Universal Siegers and bred three VA females at a Sieger show in history. They strive to breed the healthiest, strongest and longest living German Shepherds available. The kennels offers high quality German Shepherd pedigree puppies from show line dogs. Mittelwest breeds the highest quality dogs from some of the most decorated German Shepherds dogs in North America. This means that customers looking for the best German Shepherd puppies in Illinois can get in touch knowing they’ll get great service and amazing dogs. Mittelwest highlights that their dogs are ideal for families, as they are good with children and are adaptable to any environment. German Shepherds are some of the most intelligent dogs in the world, and represent the largest percentage of police dogs internationally. They are high energy dogs that have a strong sense of family and are one of the most intelligent and highly trainable dogs. Full details can be found on the URL above, and interested parties can get in touch at 1-815-653-1900.